Apple Guest House is located at a distance of 1 km from Gyal Khatoon Mane and 127 km from Bus Stand JK SRTC. 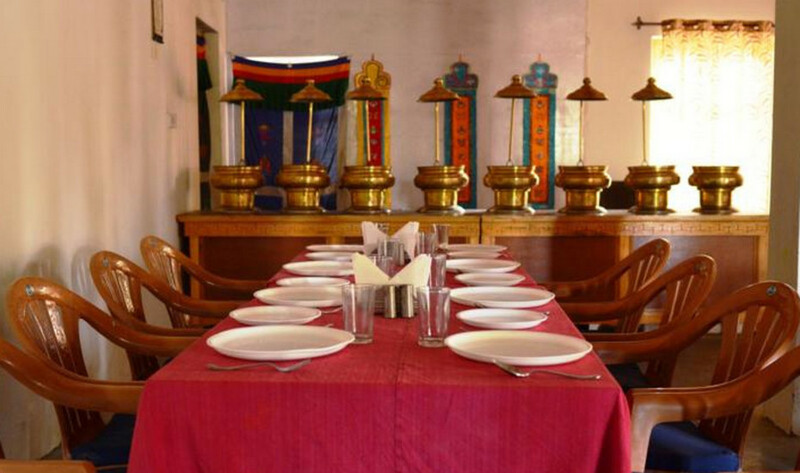 This guest house in Leh offers free breakfast service and free internet access to its guests. It comprises of 3 well-kept and spacious rooms spread across 1 floor. Each room is well-equipped with amenities like balcony, room heater and bottled drinking water, room heater and attached bathroom. Parking, Doctor on Call, Internet/Wi-Fi, Restaurant, Family/Child Friendly, Breakfast Services, Room Service, Front Desk, Backup Generator, Laundry Facilities. Complimentary Newspaper, Complimentary Toiletries, Desk, Dustbins, H/C Water, Cable/Satellite TV, Internet Access, Luggage Rack, Telephone, Attached Bathroom. User reviews for "Apple Guest House Leh"